The words “stressed” and “tired” are almost an instant response when a student is asked how they are, yet we don’t find that to be all too concerning. Often we hear adults saying that the lives of students are easy and that we students have nothing to be worried about, but that just isn’t the truth. Eighty three percent of students, in a survey taken by the American Psychology Association, credit school for being a major factor for the stress they face, which isn’t surprising to most students. The competitiveness of school has increased dramatically since our parents were in high school. No offense, but how many of our parents would be able to get into the colleges they went to with the current standards of those colleges? Based off data taken from the University of Florida, for the 1997-98 school year, the average SAT score for those admitted ranged between a 560-670 in verbal (reading) and a 580-680 in math. In 2016 those averages increased to 580-680 in critical reading and a 600-690 in math. Stress isn’t all about the test scores. A student’s GPA has a major impact on their future and current stress level. Using the 1997-98 v. 2016 data again, 20 years ago the average admitted freshman at UF had a GPA ranging from a 3.5-4.1, while in 2016 the average was between 4.2 and 4.5. Besides good scores and a high GPA, most colleges expect rigorous coursework and an encyclopedia length list of extracurricular activities to give acceptance to a student, and once a student is accepted, there is no financial guarantee. Most students who aren’t millionaires have to start applying for scholarship after scholarship to pay for the ridiculous price of college. The track to college is not easy one and causes a lot of stress on students, but we can’t allow the stresses of college prep and the rest of our current education in high school to ruin our lives. Although our lives seem to be centered around school now, life is not all about which test you passed or what college didn’t accept you. Our lives will be so much more than that in such a short amount of time. In 2018 alone we have seen so many tragedies, especially so close to home in South Florida. With these tragedies, we can see that life is short, and as cheesy as it sounds, we need to live like it’s our last day. That said, don’t go do something incredibly dangerous or regrettable, but do something that makes you feel happy rather than stressed. Allow yourself a certain amount of time per day to just destress from your life. 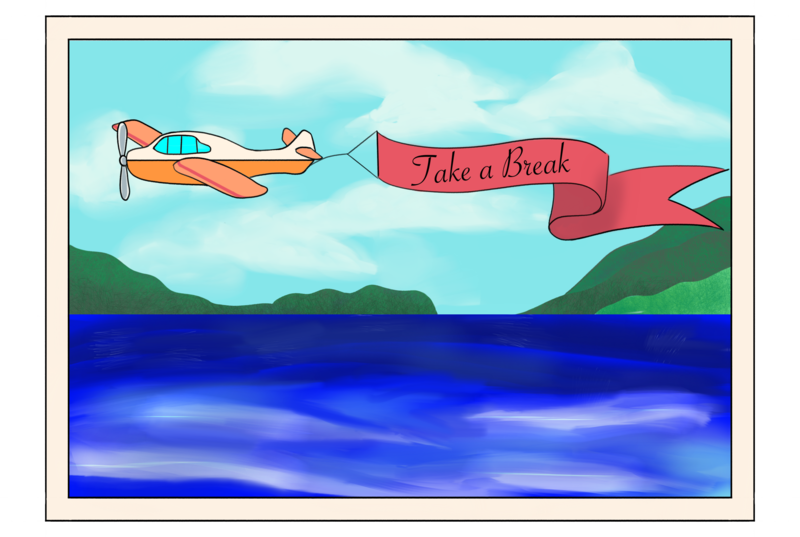 If you didn’t relax and take time for yourself over spring break, do it today, even if it is only five minutes. Life is bigger than school.